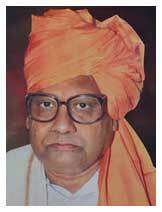 Late Shri Dadasaheb was a colossus striding the academic fraternity in Vidarbha with a vision that transcended time and boundaries. The zeal and enthusiasm is evident as he was elected president of one of the largest educational trusts - Shri Shivaji Education Society, Amravati who ran 300 institutes. His maturity of thoughts and the trust he instilled in fellow colleagues saw him taking the lead in initiating many path-breaking firsts in Nagpur University. His management acumen was recognized early on which catapulted him to becoming the youngest Vice Chancellor in the Country. 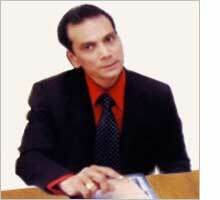 "No institute is complete without the highest standard of academics and research." We are committed to Quality Healthcare Education to create Dental Professionals who are globally competent, concerned, compassionate, consistent, and committed to research and health care of the society at affordable cost. 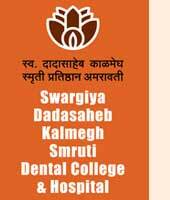 Swargiya Dadasaheb Kalmegh Smruti Pratishthan is a Trust that personifies the ideals and values eschewed by the iconic academic figure late Shri Dadasaheb Kalmegh. Honourable Sharad Kalmegh, Mr. Rajendra Singh, Mr. Hemant Kalmegh and other luminaries who have themselves set landmarks in academics are administrating the trust as a realization of the ideals of late Shri Dadasaheb Kalmegh. The Trust has handpicked its academic and management staff that display integrity towards perusal of the Trusts’ core beliefs and motto. © 2015 Swargiya Dadasaheb Kalmegh Smruti Pratishthan. All Rights Reserved.